It'll be lawyers aplenty if the liquidators of Bruck Textile Technologies get the defendants in court. HAVING recently secured a $12.35 million settlement from Fortress Credit Corporation, Octaviar Limited’s (OL) special purpose liquidator is, we are reliably informed, contemplating resurrecting a $515 million proof of debt claim against the liquidators of Octaviar Administration (OA). 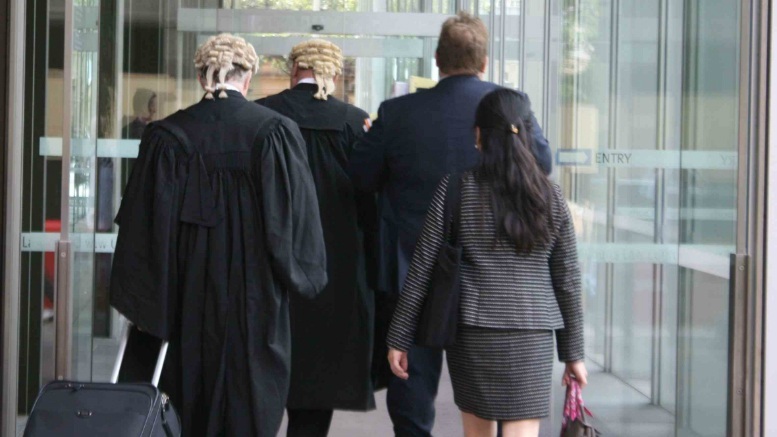 The NSW Supreme Court made orders on May 26, 2015, discontinuing proceedings first brought by OL’s receivers against Bentleys partners Kate Barnett and Bill Fletcher in 2014. The orders made no directions as to costs and crucially, the defendants were prevented from raising any time bar defence, meaning David Kerr is free to re-litigate the proof of debt adjudication issue at the heart of the dispute. In their statement of claim, PPB as OL’s receivers had argued that at the date of OA’s winding up on October 3, 2008, it owed OL, OA’s ultimate holding company, $514,685,948.12c. Barnett and Fletcher’s defence listed multiple grounds showing why OA’s debt should be offset, along with counterclaims they argued meant OA’s parent owed it money. When contacted by SiN yesterday, Kerr declined to confirm or deny he was reviving the claim, saying only that he was unable to assist “at this time”. Such an action would be a pencil-snapper for Barnett and Fletcher, who were appointed liquidators of OA and OL in September 2009. They discontinued their long-running pursuit of Fortress, also in May, after spending tens of millions in a fruitless attempt to recover an alleged $20 million unfair preference paid to the US investment house before their appointment. Although the terms of their settlement with Fortress are confidential SiN has learned that OA’s liquidators received not a cent and paid a portion of Fortress’s costs. In addition, a parallel action the pair were running against former Octaviar chief executive Craig White ended with discontinuance and payment of his $700,000 legal bill. Former chief financial officer and fellow defendant David Anderson will have to pay his own legal fees but nothing else. Kerr was appointed special purpose liquidator of OL in 2011, to pursue any claims OL might have against Fortress. His efforts were funded by OA under an agreement between himself and OA’s liquidators but when that was withdrawn, so was his indemnity to an adverse costs order, making the settlement he achieved with Fortress curious indeed. Regardless, Kerr is clear to resurrect OL’s proof of debt challenge if he chooses. His first step might be to seek to broaden his existing powers by asking a court to appoint him sole liquidator of OL. SiN sought comment from Barnett and Fletcher, but those enquiries were not responded to as at time of publication. Be the first to comment on "Octaviar: Kerr considering fresh tilt"